While many people think of ants as household pests, they actually can be found both in and around your house. Your yard as well as old tree stumps, and even under your foundation are all great places for ants to nest! If you’re seeing your very own ant farm being played out in or around your home it may be time to call the St. Paul ant extermination experts at Eco Tech today! Pest control chemicals can be dangerous if not applied correctly or if your kids or pets somehow were to get a hold of a surface that had recently been treated. At Eco Tech this is why we utilize a less toxic organic pest control line that is just as effective, but much safer for you, your family and your pets. We’re committed to taking care of your ant problem once and for all, but we are also committed to using the least toxic chemicals possible to get the job done. Experience – When you hire a St. Paul pest control company to take care of your ant problem, you want a company that will be able to easily identify the ant species that has invaded your home. This high level of pest control knowledge can only be achieved through extensive experience in the local market. Eco Tech has been providing pest control services in the St. Paul area for decades and would be happy to come out to your home to offer advice about your current predicament. Properly Licensed – Anyone can claim to be an exterminator, but the truth comes out when you ask for proof of licensure. At Eco Tech we have the highly touted Certified Master Technician, which is given by the Michigan Department of Agriculture. 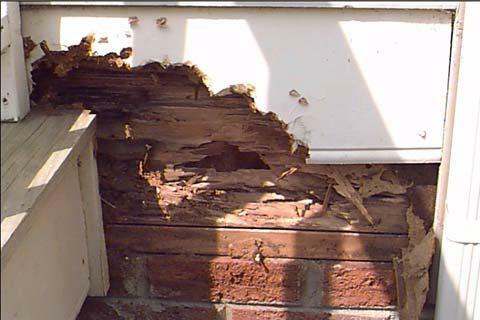 24/7 Emergency Service Line – When your home is being invaded by pests you want the problem fixed quickly and efficiently. By using a company like Eco Tech that offers a 24/7 Emergency service line you can be confident that you can call on us to take care of your ant problem anytime day or night. If you’re tired of purchasing ant traps and pest control sprays that just don’t work it’s time to give the ant exterminators at Eco Tech a call today at 763-785-1414 to schedule a consultation with one of our pest control experts in St. Paul, MN.